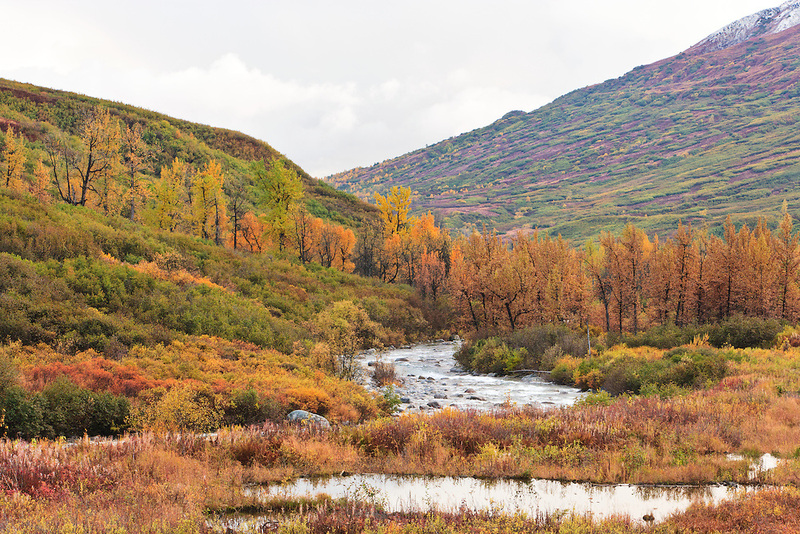 Fall colors of Little Susitna River Valley at Hatcher Pass in Southcentral Alaska. Fall. Afternoon.